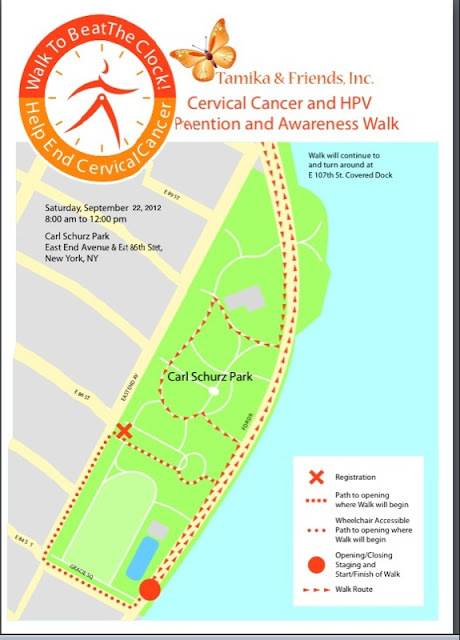 My brother in attempt to help me, and while searching the internet found the NYC Walk to Beat the Clock - A Cervical Cancer Awareness and Prevention Walk. Wow! what a coincidence or was it?? I will never know. 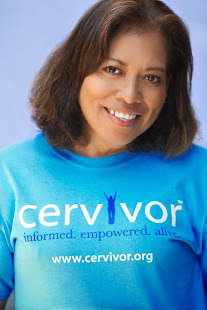 These women embraced me as their “survivor sister” without even knowing me. I immediately felt the warmth and felt inspired. They were sharing their own stories never the less similar to mine. I knew then that "I was not alone", and I wanted to join the movement. I was not keeping quiet anymore. I did not have to feel ashamed. I wanted to share my story too. I wanted to educate other women that my journey did not have to be theirs. So I approached Tamika and offered my help. I wanted to become one of her “friends”. 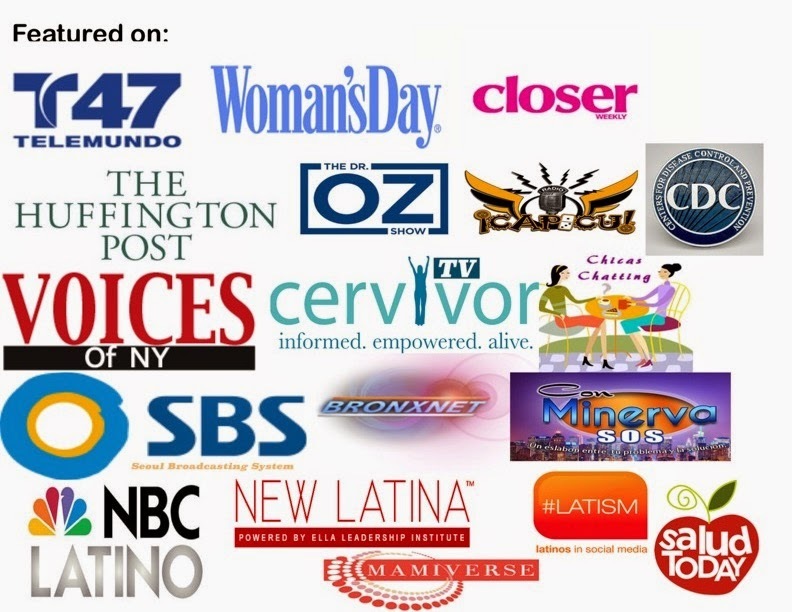 Now, I am proud to be part of Tamika & Friends, Inc. and I have walked ever since. 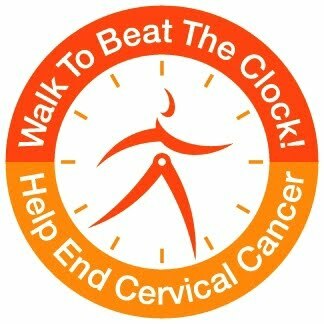 I walk for ME, for those who cannot walk and for those that have lost the battle. 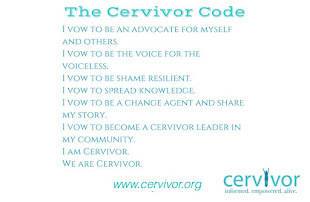 I walk because I am committed to help with the eradication of Cervical Cancer. 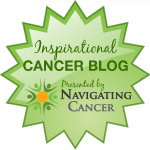 This disease takes away your identity and it affects you and the people around you and unfortunately, in many cases, it even takes your life. No woman should feel alone in the fight. 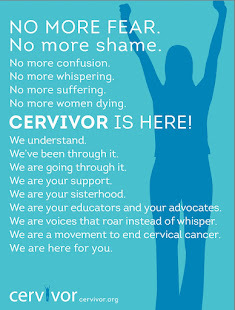 No woman should die or lose their fertility to cervical cancer!! The walk this year will take place on September 22, 2012 at Carl Schurz Park, E. 86th Street and East End Avenue. From 8am - 12pm. 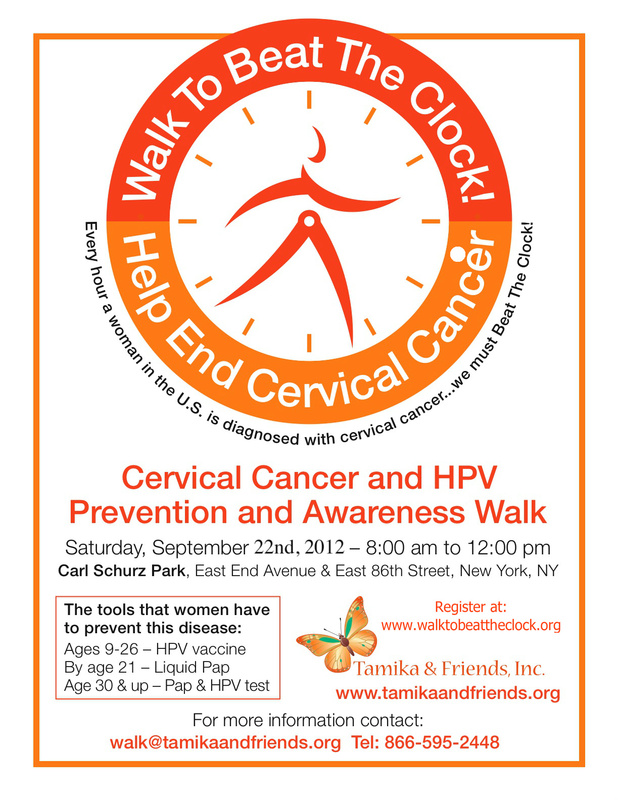 Please join us on this great cause and help end cervical cancer. You can join an existing team, walk individual, create your own team or volunteer. All proceeds from the walk go back into Tamika and Friends, Inc. to support the various programs we have in place to help those living with cervical cancer and cervical cancer survivors. 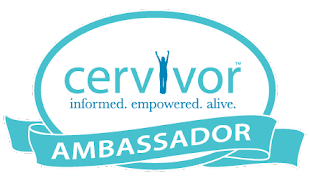 If you want to sponsor me and/or my awesome team or want to join our team, please click on the name of the team below and it will take you to our page. I thank you in advance for your generosity and support.